At the end of March 2008 it was reported that the Chinese online education website for pregnant and nursing mothers Yaolan.com received USD 17.1m in Series D funding. Yaolan Ltd. was founded by Matthew J. Estes, President & CEO of BabyCare Ltd. (www.baoying.com). 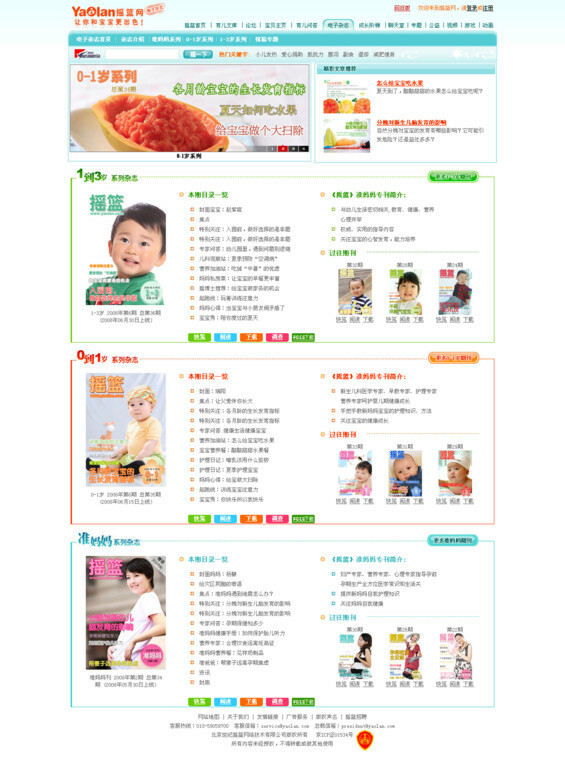 BabyCare is a leading provider of nutritional supplements for expectant mothers and infants in China. Community portals for mothers are already very popular in the US. Web2Asia met Gao Xiang, CEO of Yaolan New Media Ltd. (www.yaolan.com) and got to know a little more about the plans of Yaolan.com and the trend of mommy community websites in China. Please give us a short intro on Yaolan New Media. Yaolan New Media Ltd. operates the dominant Chinese language online parenting web portal, community, and education platform www.yaolan.com. Founded in 1999, the company has built the most highly recognized and trusted online parenting brand by offering quality information and education services to pregnant women and parents of 0-6 year-old in China. Currently we have around 1.55 million registered members. Yaolan attracts 190,000 unique visitors daily that account for 1.2 million daily page views. What is the connection between Yaolan New Media and BabyCare? Yaolan New Media and BabyCare are two independent companies with some common investors. The two companies have different business models and function independently. Yaolan New Media was founded to be the dominant and neutral Chinese language online parenting web portal, community, and education platform. What is the business model behind Yaolan New Media? Online advertising has grown very fast as the major business model. Yaolan also launched a personalized/multimedia parenting education system to charge VIP users a small subscription fee for individual parenting learning package after online free skill testing for their kids. The education contents and system are developed by authoritative national parenting experts. March this year Yaolan Ltd. announced that it secured Series D USD 17.1m funding. Where will the investment proceeds go? The investment proceeds will speed up the development of the parenting knowledge system, build additional online parenting contents to increase traffic and attract advertisers, upgrade and solidify software and hardware platform for more storage, traffic, and user demands, and promote Yaolan's brand, products, and services. Community sites, mommy bloggers and e-commerce websites have proved to be one of the most successful Web 2.0 niches in the US. What about China? China is definitely the next frontier for mommy sites. There are three types of mommy sites in China: media, community (blog/SNS), e-commerce, all of which can succeed. Yaolan is provides a new model for mothers - a comprehensive mix of online parenting education, child development testing, community for parents and media. The one-child policy means that practically all Chinese mothers are first time mothers. Is that the main reason of Yaolan's success? Chinese parents, like their western counterparts, are open to talking about certain problems with their family and friends. However, most young parents have no sisters or brothers to consult with, because of the one-child only policy, and their parents of the older generation don't have the much needed parenting knowledge. Therefore, it is true that the existing support systems in the country do not adequately meet mothers' needs so they visit web sites like Yaolan.com for help and education, especially personalized online knowledge. The key to Yaolan's success is depth, credibility and ease of use of Yaolan's parenting information that enables parents to reduce their anxieties and enjoy parenting experience more. Yaolan.com dispenses pre-natal as well as parenting advice. How do you ensure the quality of the information provided on your website? Over the past 9 years, Yaolan has developed extensive exclusive relations with top medical and child development experts and institutions in China and built a large professional team of in house content experts. Much of Yaolan's early contents were created by overseas professional experts. Those contents were translated and integrated seamlessly into the Chinese language online parenting web portal, community, and education platform. Yaolan is a Chinese-language only service. Are there any plans to introduce an English version or to expand to other Asian markets? We don't have plans to introduce an English version or to expand to other Asian markets in 2008. Our goal is to ensure Yaolan continues to provide the best content and services selected by parents across China as their first choice. What can we expect from Yaolan in the upcoming year? What are your plans, what is your vision for Yaolan? Yaolan continues to be the dominant leader in the online parenting web portal/ community sector in China. At the same time, Yaolan will become an innovative pioneer in online education sector in the world (not just in China) by developing and launching the start-of-art intelligent expert system with cool features in personalization and multi-media on top of authoritative expert parenting knowledge. We haven't found a similar product on other parenting web sites anywhere in the world. Yaolan also is testing waters in the newest web formats, such as electronic magazine and 3D virtual world. We publish 2 issues of electronic magazines every month and distribute them on many other popular web sites since January 2007. The 3D virtual world - the parenting/family version of Second Life, is another project we experiment with in 2008. Gao Xiang was previously Vice President of Dangdang.com, a leading e-commerce company in China. From 2000 to 2003 he was the founder and CEO of Skystar, an Internet technology company. From 1998 to 2000 he founded an e-commerce company called ChinaMalls in Seattle and sold it to a publicly listed company in the US. He first worked at Microsoft as a software developer. He is a Tsinghua undergraduate majoring in management, and got his master degrees in Math and Computer Science at the University of Wisconsin, Madison.